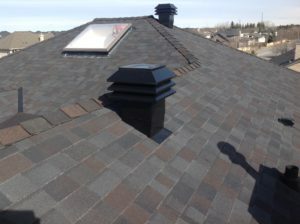 When you are considering a new roof, it’s important that you know the roof components that make up your roof system and that you understand what each part does. 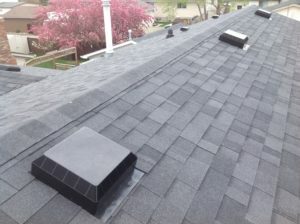 Below are some photos of our work showing these components to help you to better understand our quote. 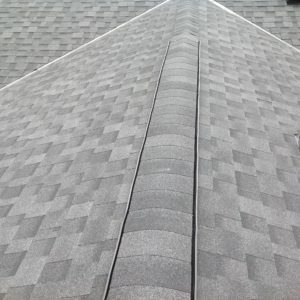 It also shows what we do to insure that your roof is not only installed properly and complies to building code and good roofing practice but will look great, add value, and keep your home comfortable. 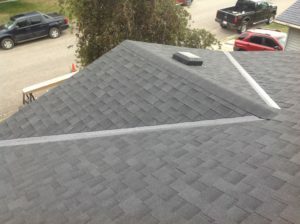 If you would like to have us explain in person, request a quote and we will be happy to meet with you. 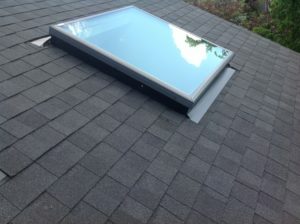 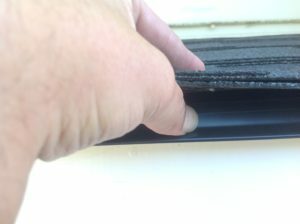 Flashings: Protect areas vulnerable to leaks: skylights, vents, chimneys, etc. 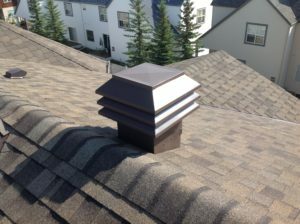 Ventilation: Alberta building code requires all roof structures be provided with proper ventilation to prevent problems in your attic and to keep your home comfortable. 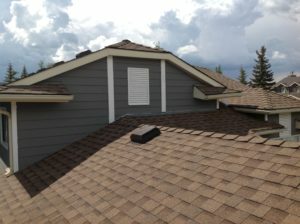 Your roof needs to breath above the vapour barrier and insulation. 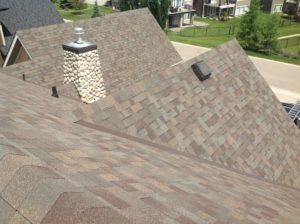 We have ventilation experts that can ensure that you have adequate airflow through your attic to prevent moisture build up. 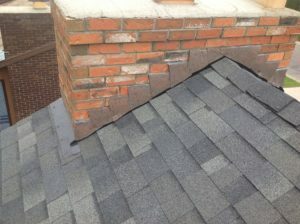 Blocked soffit and condensation damage can rot your roof’s deck and cause other problems in your attic. 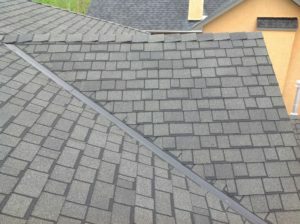 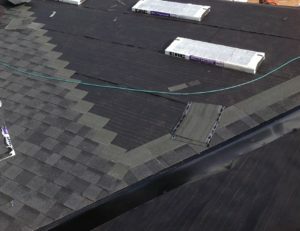 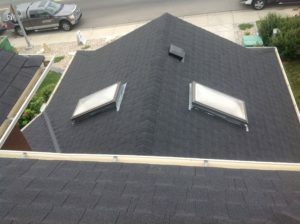 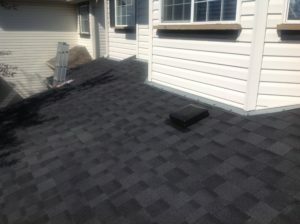 Our expert crews that will make sure that your roof is adequately vented and that your attic is breathing as it should. 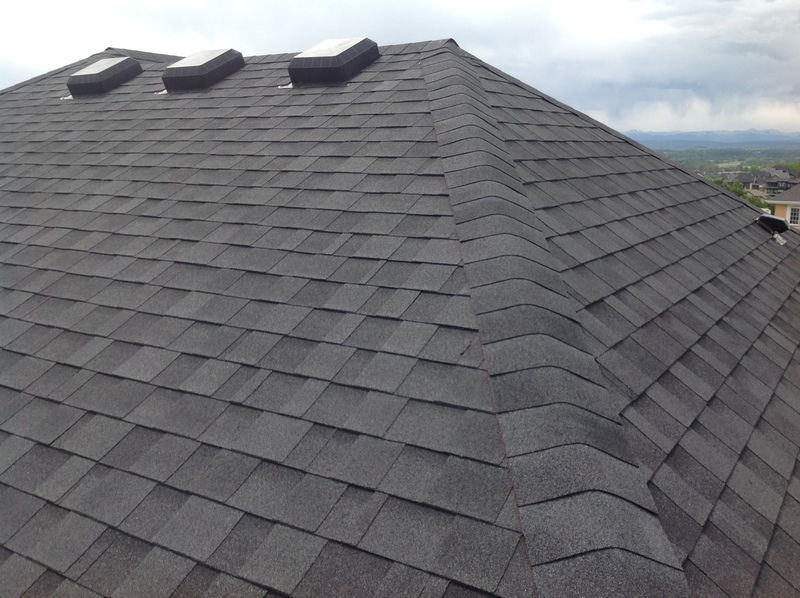 Valley Treatment: Metal valleys prevent leaks at this vulnerable area of your roof and also prevent damage due to snow and ice build-up. 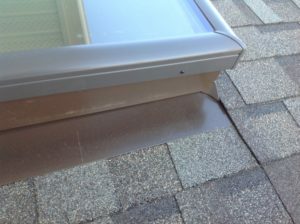 Edge Treatment: We install drip edge flashing at the roof’s edge to shed water and protect your roof deck from rot. 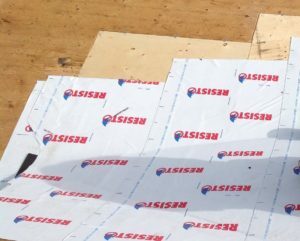 Eaves Protection: Waterproofing membrane (ice and water shield) provides protection at the eaves, valleys, and exterior walls. 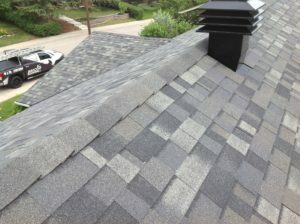 Shingles: Determine the ultimate longevity of the roof.